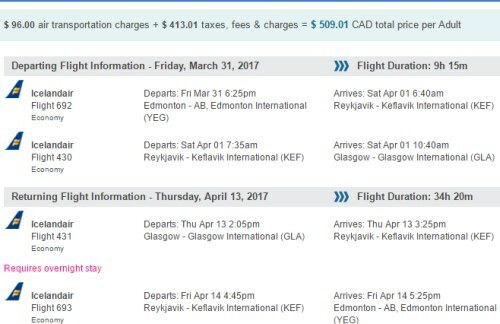 Icelandair has dropped the price of their late winter 2016 and early spring 2017 flights from Edmonton to Reykjavik, Iceland down to $509 CAD roundtrip including taxes. The flight on the way home has an overnight layover in Iceland. In some cases, it's a full 24 hour layover. 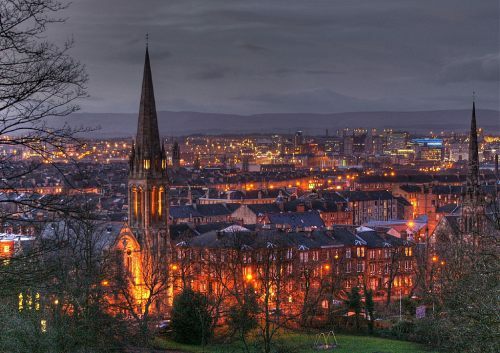 This is a new record for the cheapest flights from Edmonton to Glasgow. Click on the departure date box to open up the calendar view and try other date combinations. 2. Select your flights in Google Flights and click through to Flight Network for booking. edmonton, yeg, flight deals, europe, western europe, northern europe, united kingdom, icelandair, glasgow, scotland and gla.